The Palatial Crest Heraldry Plush PT King 14" Plush Pillow Top Mattress by Sealy at Beck's Furniture in the Sacramento, Rancho Cordova, Roseville, California area. Product availability may vary. Contact us for the most current availability on this product. The Palatial Crest Collection, an exclusive, high value line of mattresses by Sealy, provides a quality mattress at an exceptional value. 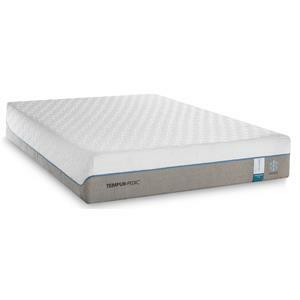 These mattresses include features normally found in much higher priced mattresses like the Sealy StabilityPlus™ Coil that separates motion and adjusts to your curves; CoreSupport™ Center with SealyComfort™ Gel Foam that supplies extra support where you need it most and the StableEdge System, which allows you full use of the mattress surface as well as a firm seating edge. Take advantage of this exclusive special purchase and the great value it represents. This would be a good bed for a back or side sleeper. The Palatial Crest Heraldry Plush PT collection is a great option if you are looking for Mattresses in the Sacramento, Rancho Cordova, Roseville, California area. Browse other items in the Palatial Crest Heraldry Plush PT collection from Beck's Furniture in the Sacramento, Rancho Cordova, Roseville, California area.